Life is made up of many moments. Getting the very most out of your life starts with how you use each one. 1. I am not a gardener, but I would advise that if someone suggests you plant trees right into your lawn without mulching around them, don't listen to them! Mowing closely under trees is very difficult and the weeds and grasses that grow up around the trunk are unsightly, and difficult to remove! I know - because I have spent hours on my hands and knees doing just that! Create a grass and weed-proof ring around trees when they are planted, and save yourself a lot of work! One of our trees, after we dug up the sod and put down pine bark. 2. Hairspray removes ink stains from clothes. This is especially helpful to know when a pen has "exploded" or you washed one with in a load of clothes! Rub it in. It will smear, so sometimes it helps to place a clean white rag beneath the area being worked on and rub against the rag. Keep rubbing until stain is out. Launder as usual. so I am always ready to treat ink stains. 3. If you vote by absentee ballot, fill out your ballot as soon as it arrives in the mail. And send it back immediately. Don't make the mistake of waiting till the last minute like we did. This morning I have to drive 52 miles round trip to deliver our ballots in person so they would arrive on time! At least I was able to pay my car registration there as well, it was a beautiful day for a drive, and the money I saved in postage was more than I spent in gas. 4. Get plenty of photos of kittens, puppies and other pets when they are little. (Same advice for human babies!) They change a lot as they get older, and it will be fun to look back at the photos and compare. It is so nice to have a record of what they looked like when they were small. If you compare the following photos to the older photos of my pets on this blog, I think you will see what I mean. See the difference? It is hard to believe these photos were both taken 11 years ago! Weren't they both so cute? 5. My book suggestion this week is "Letting Go: A Parents' Guide to Understanding the College Years by Karen Levin Coburn and Madge Lawrence Treeger. This invaluable resource has many good tips for parents on how to navigate a child's senior year of high school and the college years. It is helpful when read any time during these years, but to benefit fully, read it for the first time during the summer before your child's senior year of high school. 6. Have you heard of the movie, Rabbit-Proof Fence, produced in 2002? My sister watched it last week, and she recommended it. It is based on a true story of three Aboriginal girls in Australia, taken from their homes to be given a more "civilized life" and trained as domestic servants. From the reviews I have read, this action-drama is well-acted and filmed. It provides an interesting view of Australian history and raises ethical questions about the decisions that were made. I definitely want to see this movie soon! The first recipe I discovered, Snickers Cake, from Michelle of Brown Eyed Baker, looked like something I had to have. Right away. The only problem - the recipe is a bit involved and the directions said prep time would be 3 hours and 30 minutes. That was about 2 and a half more hours that I yesterday. I will be trying this recipe - but not this week. Then, I found it. Snickers Chocolate Cake, posted by Aubrey of Real Housemoms . Not too time consuming to make, I had the ingredients, and it looked fantastic! I made it yesterday, and it did not disappoint. Wish I could give you a taste! I guess you will just have to make it yourself. Here is a photo of the cake I made yesterday. Aubrey's recipe was so easy to follow, our cakes even look the same, don't you think? 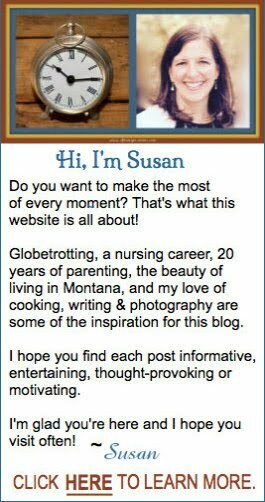 I suggest a visit to both these websites - their content is very inspiring and will make you hungry! I am trying to decide if I should continue this series "Seven Ways to Make the Most of a Moment" beyond Week 12? What do you think? Do you like how these tips have been grouped each week, or would it be better to offer them individually or in a different grouping? So many good suggestions this week! I hadn't heard of this book - putting it on my list right now. That cake looks so good! I'm always running off at the last minute with our mail in ballots too! Personally, I really like this series, and think you should continue. Every week I have learned something new! Thanks Lana. I think you will like the book. I appreciate your input about continuing this series. Glad you like it! Snickers cake?? How can you go wrong! Some great information here...fun series! Thanks for your input Pam. I'm glad you think so! Point 1 and 2 brilliant! It took me about 2 times weeding around the tree to decide point 1 was a must. Your cake turned out lovely. Thanks Jennifer! The cake was really easy! And good... I'm really grateful to Real Housemoms for the recipe! Liked the tip on planting the tree and hairspray laundry treatment. The Snickers cake is one I am definitely going to try. I definitely like these tips. Please keep them coming. I'm glad you like it Kathy. Many thanks for the feedback!! Many thanks to everyone who leaves a comment here! 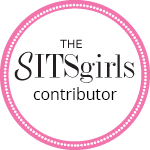 This blog contains affiliate links to products I believe in. If you make a purchase after clicking on one I may be compensated, but at no additional cost to you. Saturday Spotlight #7: A Life-Saving Valentine. Montanans Are Tough - But a "Bison Run" Down Main Street? I recently enjoyed this book! Like a Girl - and Proud of It. Celebrating the 100th Post On This Blog Today! Happy Weekend! Can You Identify This Place? Do You Feel Lucky to Live Where You Do? Sometimes a Mom Just Has to Sit! Neither of Us Was a Catfish! Use this form to contact me! 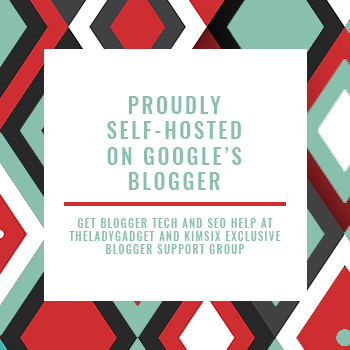 Been looking for Tech and SEO support for Google’s Blogger? Click above to join the growing FB community that I'm part of! the most - - of every moment! Click on this MASTERCLASS logo to see all the fun subjects that they teach. I will recieve a small commision if you sign up after clicking here, but I highly recommend these classes. Copyright © SusanF - of Every Moment, 2014 ... Template modification by Kim Six Blogger Support ... Powered by Blogger.